The battle against noncommunicable diseases [NCDs] was in the spotlight at the 3rd High-Level Meeting on NCDs as part of the United Nations General Assembly on September 27, 2018. The battle against Noncommunicable diseases [NCDs] was in the spotlight at the 3rd High-Level Meeting on NCDs as part of the United Nations General Assembly on September 27, 2018. It is hoped that progressive, evidence-based methods towards achieving Sustainable Development Goals by the year 2030 will be accepted by over 50 Heads of States for accelerated implementation. Diabetes, often considered the mother illness of most NCDs, will be tabled for discussion to reduce the global burden of disease. What is needed immediately is a strong political commitment to ensure the meaningful prevention and support of people living with or at risk for diabetes in the response. The resultant pandemic of type 2 diabetes can only be halted through proactive measures of primary prevention highlighting the wellbeing of young females in our society. Incidence and prevalence is progressively rising in type 2 diabetes (T2D). A few decades ago it was clearly defined that type 1 diabetes is mainly seen in the under 20’s age group and T2D in the over 40’s. However, now we see the age of onset of T2D younger, more so in low- and middle-income countries such as Sri Lanka. We have already established the causes of T2D.¹ One hypothesis could be that younger onset of T2D is due to inadequate nutrition in the unborn and consequently predisposed to insulin resistance. In an undernourished child growing in the womb, the compromised nutrition is directed to the maintenance of life through the supply to the brain at the expense of the rest of the body. This usually occurs through a process of insulin resistance so that organs like the liver and muscular system remain underdeveloped up to the point of birth. Low birth weight that results in children of this category are thought to be more prone to the development of T2D in later life. The enhanced degree of feeding after birth makes children gain weight exponentially mainly through the accumulation of fat. This produces early onset of T2D due to early stages of insulin resistance. In these nutritionally compromised individuals the musculature is underdeveloped and hinders adequate exercise which escalates weight gain. As the spread of the T2DM in the world is mainly in the low- and middle-income group, this could be a very important factor that can be corrected through adjustment of maternal nutrition in the stages of preconception and pregnancy. This highlights the value of the “girl child” and her nutrition through the ‘life circle approach’.² This makes it essential for pregnancy to occur at an optimal period between 20 and 40 years so that full development and nutrition is more likely to be guaranteed at this time. Early pregnancy is best avoided less than 20 years of age and the girls should be preferentially treated where nutrition is concerned. Interaction of all cause factors for T2D namely the period of gestation, lifestyles, stress and genetics have a major impact of the onset of the pathology.⁴ Modern lifestyles of sedentary and unhealthy fast food, addictions due to increased stress in children and adults, rapid urbanization leading to increased air pollution and unsafe water all act as a catalyst decreasing the age of onset of illness. In addition, inadequate nutrition predisposes people with T2D to the development of depression as they have been deprived of a desire to fulfill their nutritional requirements in early life. State of undernutrition in the womb leads to a stressful situation before birth and a tendency to develop endogenous depression in later life. To illustrate, I quote a true-life situation where a young girl living in Colombo, Sri Lanka was diagnosed with T2D at the tender age of nine years. She was found to have a high glucose level on a routine screening and was diagnosed and treated for type 1 diabetes. She had inadequate nutrition in-utero and a low birth weight. She was found to be obese and showed signs of insulin resistance such as acanthosis nigricans (a skin condition that causes skin to darken and thicken) where her insulin was gradually reduced and eventually stopped. At present, she is managed well on oral hypoglycaemic agents and a modified lifestyle. The resultant pandemic of T2D can only be halted through proactive measures of primary prevention highlighting the wellbeing of young females in our society. *The girl child goes to school, helps with housework, works in factories, makes friends, cares for elder and younger family members and prepares themselves to take on the responsibilities of adulthood. Girls play multiple roles in the household, society and the economy. Upholding the rights of the girl child has seen increased support through the nearly global adoption of the Convention on the Rights of the Child, as well as through the UN Millennium Development Goals target of increasing equality between girls’ and boys’ educational attainment. Aetiology of type 2 diabetes: the road to consensus, Diabet. Voice 48 (2003) 28–31. Alberti KG, Zimmet P, Shaw J. Metabolic syndrome—A new world-wide definition. A consensus statement from the International Diabetes Federation. Diab Med 2006: 23; 469-480. 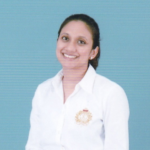 Chamari Warnapura is Deputy Medical Director - National Diabetes Centre, Diabetes Association of Sri Lanka.